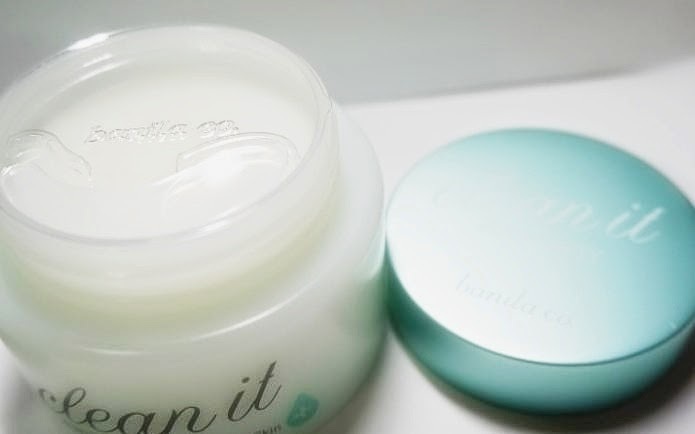 BEST Lip&Eye Remover Cream Type, Banila Co Clean it Zero! There is two step on cleansing, First you gotta remove the lip and eye makeup first because foam cleansing can't erase them all. There is the liquid type, my favorite is Aritaum Lip & Eye Remover. This time I decided to buy a cream type that you can just wipe it off with sponge. Like I said I personally think the pink is already very soft for the skin, but this is made more softer on the skin. You don't need too much just that amount is enough for one side of smoky eye makeup. Please rub softly don't rub it like as if you are scraping off the makeup, just gently rub, you don't want wrinkles around your eyes. 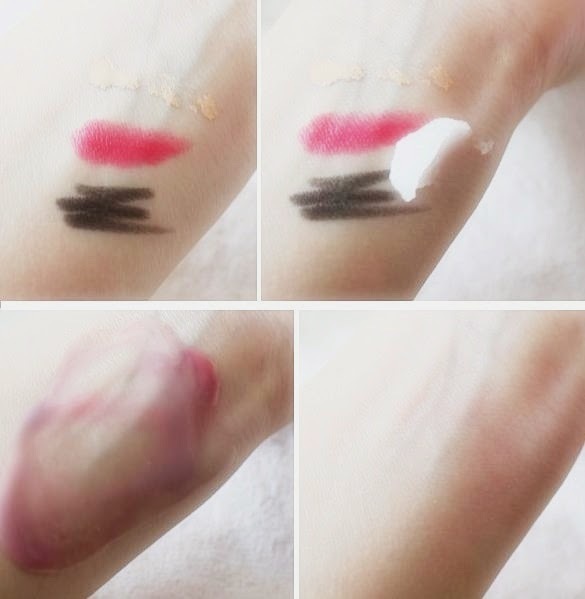 The cream will mix into the makeup and melts it. The texture is not liquid cream but more of hard cream but not solid hard either. Since we are looking at a cleansing product let's see how well it erase makeup! You can use tissue to wipe off the cream but I think water is much less irritating. 0.5! Since I can't say 0 because there might be someone in the world who find this irritating. But in my opinion I feel that is has absolutely no irration, No pulls afterwards, no greasy feeling afterwards. Just love love love this product!!! I haven't tried any banila co. products but this one looks promising! "Please rub softly don't rub it like as if you are scraping off the makeup, just gently rub, you don't want wrinkles around your eyes."